We love our guests: they bring good news and brighten the evening by the bonfire. In these places travelers would never be left in a desperate situation without shelter and protection. Come to us to talk, to drink tea, to share news. 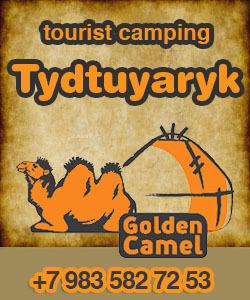 And if you want to stay and spend the night we offer accommodation in a traditional for these places dwellings — yurts. one extra bed is 300 rubles / day. Children under three years are free of charge for accommodation. Children under 12 stay for 250 rubles / day. There is a kitchen with gas and all the necessary utensil and dishes. Yurts are equipped with stoves, firewood is not limited.